As I've tended to do for the past few years, I've mostly taken a winter hiatus from regular updates to this site. That said, my junk shopping habits and collection of pop culture treasures have continued. Here's a rundown of some of the random things I've picked up over the past several months. One of my many trips to Goodwill over the winter months turned up this boxed Speak & Spell -- fully functional with the original instructions. It's been fun to see my kids play with an archaic toy I remember being state of the art when I was their age. I have plans for the summer of hooking this up to a record player and an umbrella to contact E.T. After three years of waiting, hip-hop pioneer Michael Holman finally came through with his promised rewards to those of us who backed the Kickstarter project which was to produce a documentary about his legendary one-episode of Graffiti Rock. Well, he sort of came through. The documentary never happened and what he sent was a DVD version of the lone episode of Graffiti Rock with a decent amount of early hip-hop extra features included. Not quite the project I backed, but after three years I'll take what I can get. He also included a signed poster. And by signed poster, I mean a large photo copied picture that looks like it was run off on the Xerox machine at the local library. Again, I'll take what I can get, I suppose. Another movie acquisition this winter was The Summer of Sam -- one of the few Spike Lee Joints I was missing and mentioned here because it's the title inspiration for my annual blogfest you've come to know as The Summer of Tim. 2K17 coming soon, by the way. At any given time, I've got a list in my head of about a dozen items I'm looking for but only if I can find them for cheap. This winter, I was able to mark one of these items off that list -- a two-sided 1977 Redd Foxx doll. 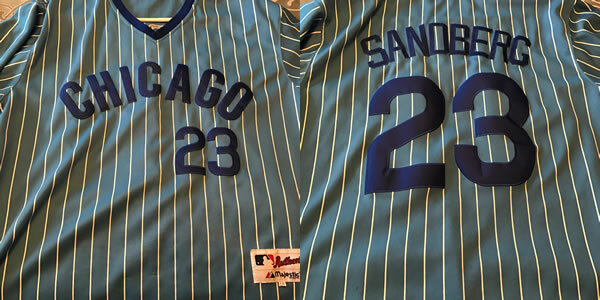 A guy I work with clued me in to a web site that sells quality jerseys -- stitched and able to be fully customized -- for crazy low prices. Considering the fact that I have no self control, I've ordered seven so far. 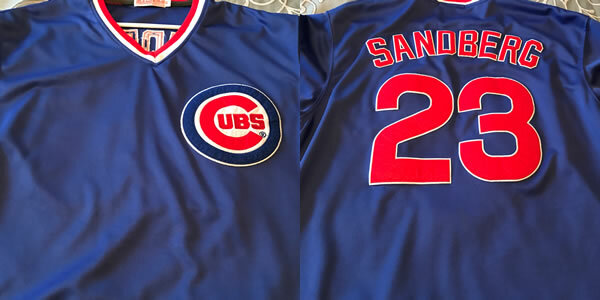 Two throwback Cubs jerseys with a nod to Ryno. 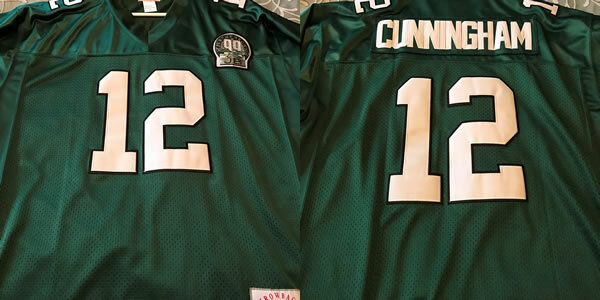 A throwback Eagles jersey -- Randall Cunningham, of course. 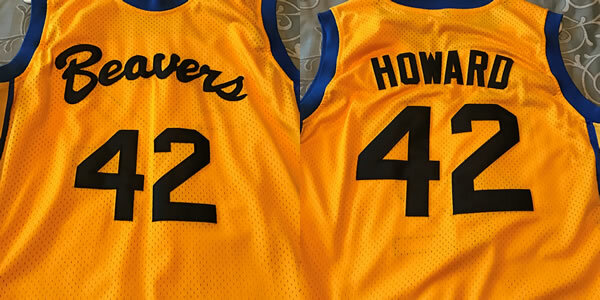 I had a simpler version of this jersey that I wore a ton in high school. 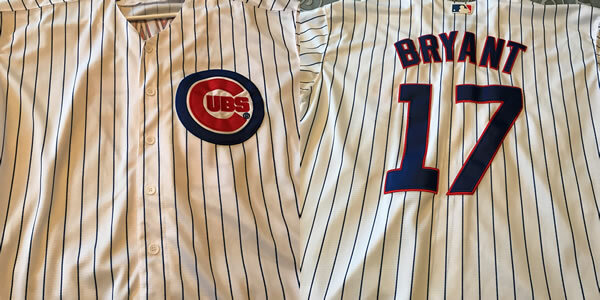 A traditional pin stripe Cubs jersey -- reigning NL MVP, Kris Bryant. 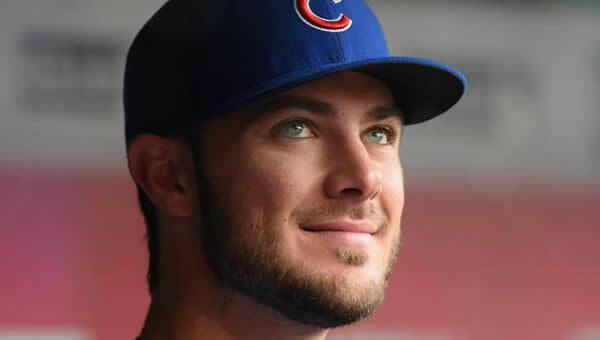 Or as my wife calls him, "that guy with the pretty eyes." 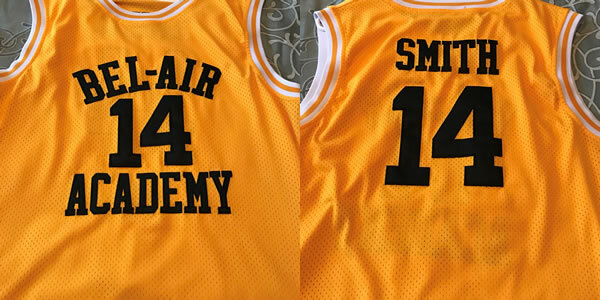 Considering the price, I couldn't resist picking up a Fresh Prince jersey. Same goes for the Teen Wolf jersey. And, of course, John Starks is on the way. A few weeks ago, an old friend of mine stopped by and dropped off a huge box of LPs that he was looking to get rid of. Although we'd reconnected and kept in touch through social media, I hadn't seen Jeff in person in almost 25 years! It was great to get these records from Jeff, but even better to catch up with an old pal. The box is mostly filled with random promo records and stuff you'd find in a dollar bin at your local flea market. But the key word here is RANDOM. I pulled out a small handful of albums that I want for my personal collection which leaves me a huge amount to sift through and check out this coming summer. I've grabbed a handful of CDs over the winter -- both new and used. The big score -- for me at least -- came last month when I stopped by the library sale where they sell used CDs for a buck. Someone had clearly cleaned out their folk/Americana collection and I walked out with 20-30 CDs that I either wanted for myself or I knew I could resell for a worthwhile profit. The best of the lot were three Hayes Carll albums -- two of which I did not own physical copies of and one I only had on vinyl. The two on the left have been on my Amazon wishlist for a couple of years and I've just held off on buying them. It's hard to drop 15 bucks on a CD -- especially when it's something I have an mp3 copy of already. For a buck each, I think my wait was worth it. The album on the right is one of my favorites -- the one I already had on vinyl. Every time I put on Trouble in Mind, I'm immediately taken back to a sunny afternoon in Florida -- June of 2010 -- when I spent a few hours listening to this album. My feet propped up on a balcony railing and several glasses of something loaded with rum. Speaking of booze -- I'm still on the wagon and going strong. Almost ten weeks now. As I've mentioned before, I didn't necessarily stop drinking for any particular reason, but I'm honestly feeling better than I've felt in years. 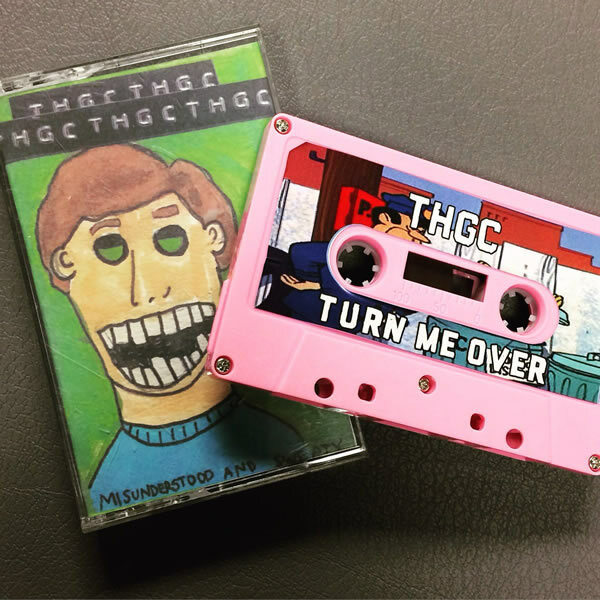 Speaking of music, my e-pal Derek Zanetti (aka The Homeless Gospel Choir) recently dropped a limited cassette release -- thirty minutes of clips, chatter, experimentation, and fun. My understanding is that there are more of these tapes to come. Count me in for every last one of them. My brother came to visit for the day several weeks ago and brought with him the Voltron blue lion that I bought on clearance as a kid. He also gave me his old Wade Boggs Starting Line-Up figures. Around Christmastime, my friend Jon told me he had picked up a collection of Masters of the Universe figures and an extra action figure was included that he felt needed to be added to my collection -- a 1983 Galoob B.A. Baracus! I had one of these when I was a kid and have been looking for one for quite some time -- just haven't been able to find one at the right price. This went nicely with one of the Christmas gifts I received from my wife. One of the other cool gifts my wife gave me was the Atari Flashback console. Although I'm disappointed to say that this system is pretty cheaply made (flimsy wireless controllers which have to be used within inches of the console to be picked up), it's fun to watch my kids play Maze Craze -- a game in the regular rotation at my house in the early 80s. 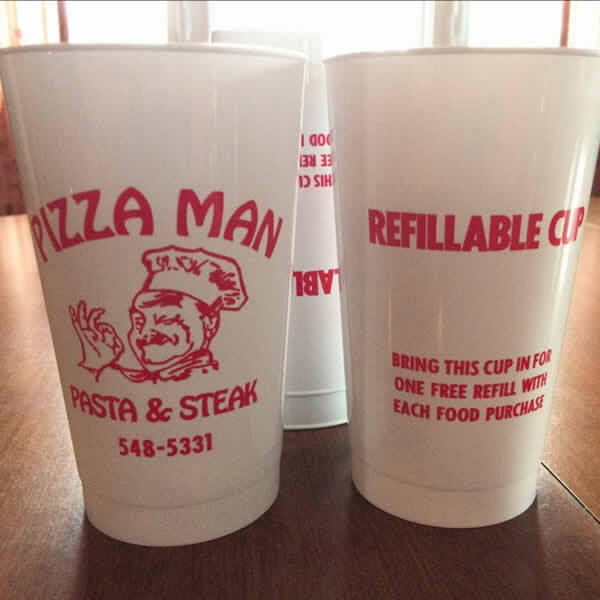 My dad, though, took the prize for best thing given to me over the holiday season when he came up with a stack of unused Pizza Man cups! I won't go into the details of why I wanted these cups so badly -- I've talked about that before. But this was huge! After talking about the Atari system, I should mention that my pal Wayne hooked me up with a game for my original 2600 that I didn't have -- the classic Sneak 'n Peek. I remember when I first played this game as a kid. A local video store -- C&M Video -- was selling off their stock of Atari game rentals and my family got to the sale in time to grab a few games at a cheap price -- including Sneak 'n Peek. We didn't get more than a few games that day though. My friends' mom got there first and bought all of the good stuff. My collection of Fisher Price Sesame Street Little People is almost complete. I picked up the Herry figure earlier this spring after making a lowball offer to an eBay seller which he surprisingly accepted. That leaves me only needing six more pieces to complete the set -- Prairie Dawn, Grover, Snuffy, Sherlock Hemlock, a chair, and a couch. I was walking through Goodwill one day and a grab bag in the toy section jumped out at me. Toys, in general, at my local Goodwill stores are rare as they've mostly stopped accepting anything other than games and larger items. But on this particular day I found a bag with a few recognizable faces peeking out from underneath some cheap Happy Meal toys. 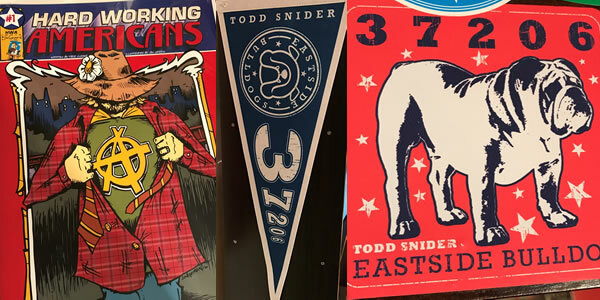 A few times before, I've mentioned my friend Brian who serves at tour manager to Todd Snider as well as the Hard Working Americans. Brian hooked me up earlier this year with a ton of Todd and HWA stuff that I didn't have yet. My wife and I finally decided to bite the bullet and upgrade our iPhones -- both of us still operating on our small 5S models. Target was running a promotion where an upgrade would come with a $300 gift card with each phone. We both wound up with a new iPhone 7 and a total of 600 bucks to spend at Target. While we would have loved to waste the gift cards on a new TV or something less necessary, we did use them responsibly. Since we weren't allowed to turn around and use the $600 gift cards on the phones themselves, we reworked our household budget to where we'd spend money from our grocery budget on the phones and then buy our groceries at Target this month using the gift cards. Speaking of unnecessary iProducts, I decided to take my phone upgrade one step further. My wife and I operate on a pretty detailed budget which includes a set amount each month for our own "personal spending." This "allowance" might be used on anything from a new pair of shoes or a trip to the junk store. Since much of what I buy for myself is used and super cheap, I've managed to accumulate a decent amount of money over the past several months. I've been trying to think of something significant that I could buy myself that would actually be useful. I needed a chainsaw but already bought one last fall. I needed an extension ladder but my in-laws gave me one for Christmas. Waiting in line at Target for my new phone to be activated, the thought entered my mind as I gazed around the electronics section. There, staring me in the face from inside the locked case, was the Apple Watch. I'd been wearing the same Timex Iron Man watch since high school and, despite having to replace the band every few years, it still works just fine. Still, I couldn't quite pull the trigger on an upgrade. That lasted about 18 hours because the next day, I took an early lunch, went to Target, and bought myself an Apple Watch. Not doing too well on my fitness goals today, huh? So was this a necessary purchase? Of course not. Do I often spend more than a few bucks on myself at one time? Nope. Have I had any buyer's remorse? Not at all. I look forward to the day when I get a remote starter for my car that I can control with a voice command spoken into my watch. You know exactly what I'm thinking, right? I've found that an Apple Watch comes with many benefits -- some which will offer opportunities for self-improvement and others which are just fun. Just say the word. I'll call you when I'm in the shower sometime. Rest assured that my constant quest for treasures will continue as the Summer of Tim is just around the corner.